This Jesus on the Cross Crucifix with Base is a real beauty it is (12″ height x 5″ width), it will totally captivate the heart of the most discerning judge. 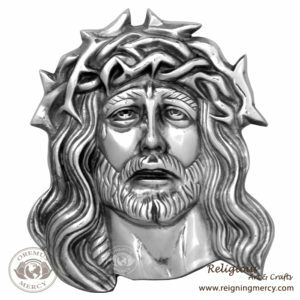 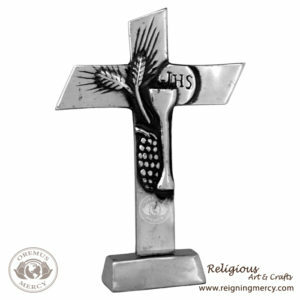 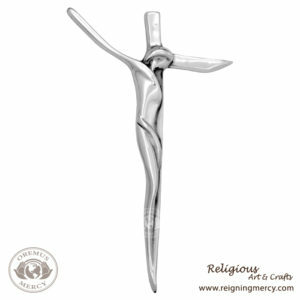 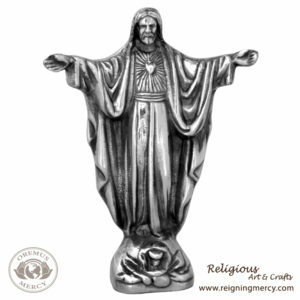 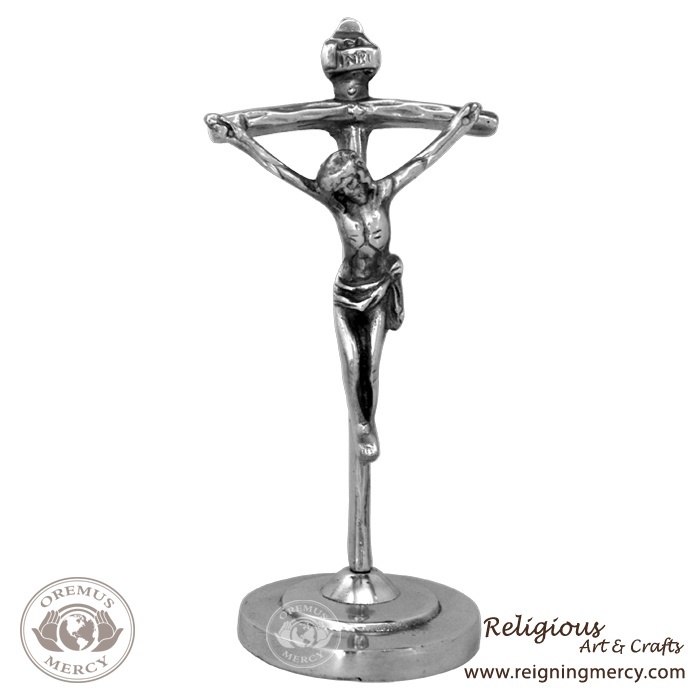 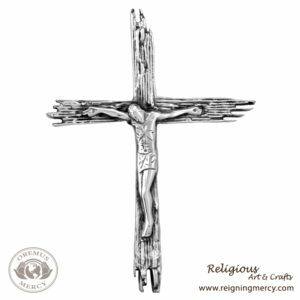 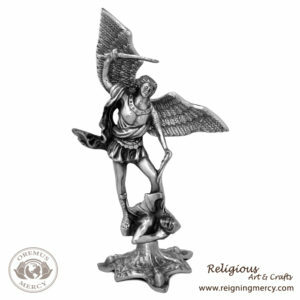 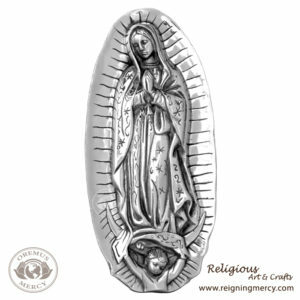 It is made using only the best quality pewter, this hand-made, fine polished religious art will surely decorate any room in your home or office. 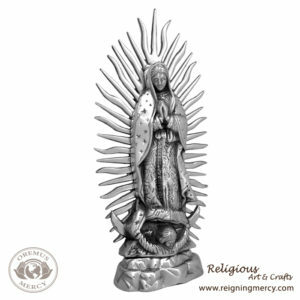 Individually packed and ready for any time gift-giving.